At label.co.uk we use the latest technology in digital and conventional printing, which saves you time and money and allows us to offer the best in custom printed product labels, ready to be applied in any automated bottling line or manual operation. 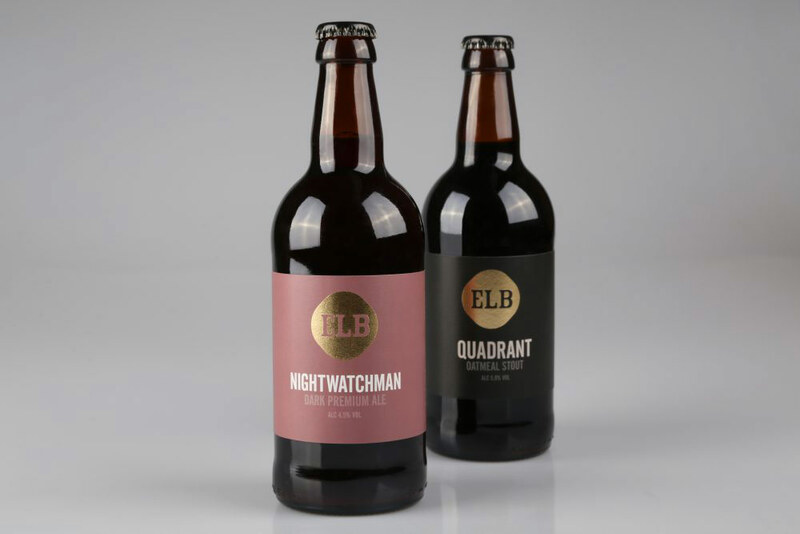 Printing multiple variations of your beverage labels – for limited edition brews, different flavours in a product line, or seasonal drinks – has never been easier. We can even do it in one run, whether short or long. Our ability to apply premium, custom finishes gives your beverage packaging that stand-out effect with one-of-a-kind detail, whilst our UV Protective Varnish protects the quality of your beverage labels against condensation and spills – thereby preserving your branding. We produce custom printed labels on rolls for either manual or machine application within the beverage industry. Read on to find out more about specific areas. The craft beer industry is booming and it’s set to keep growing. Digital label printing allows breweries the opportunity to print custom labels for their lagers, pilsners and stouts on one cost-effective print run. Brewers are now turning to more premium label finishing and converting techniques in order to differentiate their brews’ labels from the competition. Regardless of your brewery’s annual production, label.co.uk we are able to supply you with professionally printed labels and stickers at competitive prices and in short lead times. 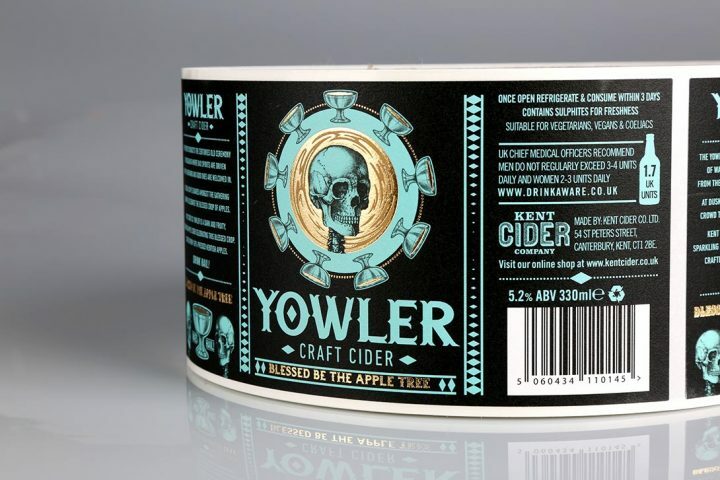 Read more about custom printed beer labels here. The wine and spirits industries are synonymous with premium product labels; the value created in the consumer’s eyes with high-end label printing shouldn’t be underestimated. The front labels placed on wine and spirits bottles tend to be produced on premium paper stocks and feature embellishments such as hot foil stamping or embossing, mainly due to the fact that these are placed on the shelf edge and are intended to market the wine in the most premium context. Oftentimes, the reverse label, which features the product and compliance information, is printed on a standard, more cost effective material. 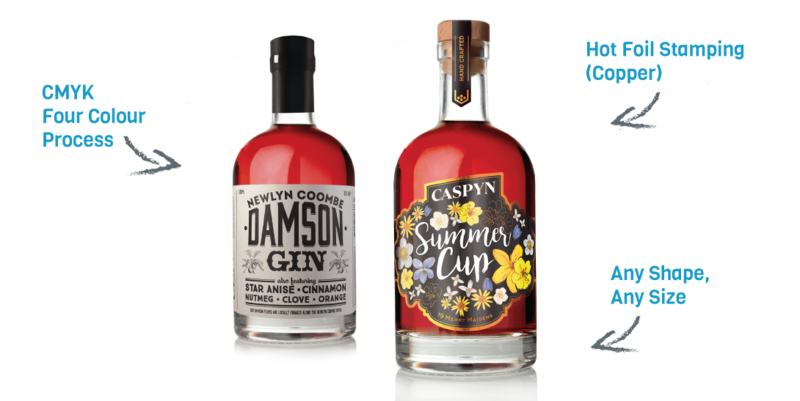 Some of the most premium custom-printed labels that we produce is for the craft distilling industry; custom shapes for intricate glassware, hot foil stamping and personalisation for batch and bottle numbers. 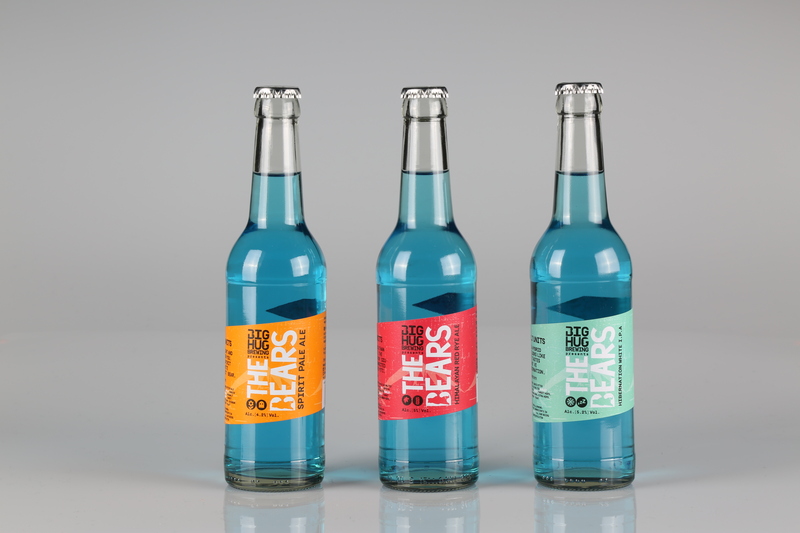 The soft drinks industry, whether it be the brands positioned for adult consumers or children, utilises the technique of digital label printing. Shorter print runs of more flavours, limited editions and season variations lends itself to digital printing technologies. The no-label look (transparent labels) is trend within the soft drink and juice sector; read more about transparent label printing here.